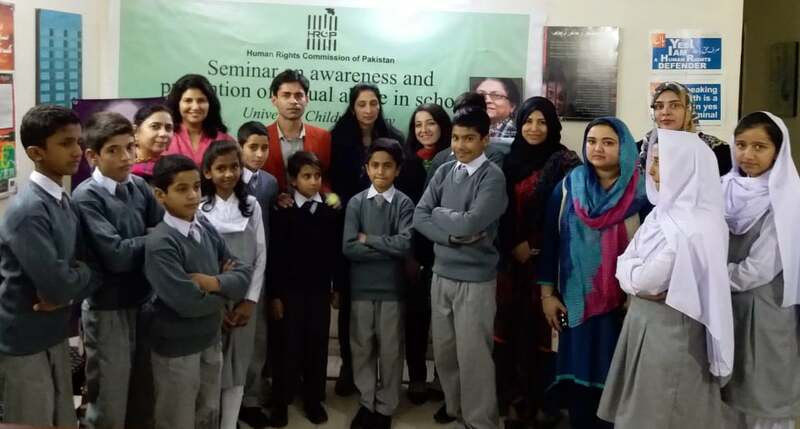 ISLAMABAD:Nov 23,2018- While the world observes the Universal Children’s Day, the Human Rights Commission of Pakistan (HRCP) also celebrated it by holding an interactive seminar on the awareness and prevention of child sexual abuse in schools. The aim is to engage with schools, teachers, children and human rights activists on this important theme. The following Speakers were invited to speak on Child Sexual Abuse in Schools. People present on the occasion included Haseeb Khawaja (Activist), Samina Sardar (British Council), Aliya Syed [Rotary Club & CDO], Tahira Abdullah (Human Rights Activist), Ms. Saiqa (Rozan), Asiya Arif Khan (SPARC), Jameela Shahid (SAHIL), Ms. Irsa (SAHIL), Ms. Snober (Counselor & Foster Carer), several teachers & students and other concerned citizens. At the end of the session, a hands-on session was held with school children that how to protect themselves from sexual abuse. 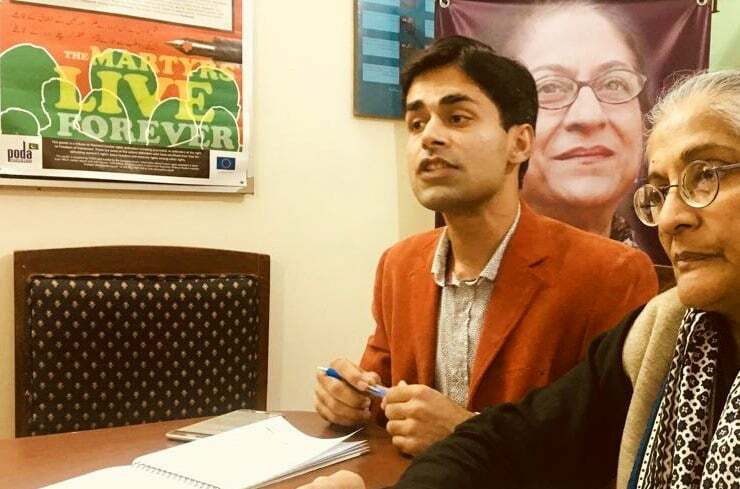 The seminar of HRCP (Human Rights Commission of Pakistan) has been co-organized & moderated by Haseeb Khawaja (Activist, Consultant & Documentary Filmmaker).